This meditation of one hour enables you to become aware of and experience the seven chakras. 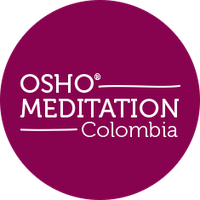 The meditation is active and uses deep rapid breathing and body movements, accompanied by musical sounds to open and bring awareness and vitality to the chakras. Stand with your feet shoulder width apart. Let your body be loose and relaxed. Close your eyes and with mouth open, inhale and exhale deeply and rapidly into the first chakra. Imagine the inhalation traveling to the pelvic region of the body, where the first chakra is located. Exhale rapidly. Breathe into the first chakra until you hear a bell, which indicates to start breathing into the second chakra. Each time you hear a bell, move this deep rapid breathing up to the next chakra. As you breathe up from chakra to chakra, your breathing should become more rapid and more gentle, so that you are taking about twice as many breaths in the seventh chakra as you were in the first. You can move, shake, tilt, stretch, or do any slight movement that will support the breathing but the feet should remain planted firmly on the floor to help grounding. Allow your feet, knees, hips and other joints to become like springs so that once you set the breathing and body into motion, the movement will become continuous and effortless. Let your awareness remain primarily with the sensations of the chakras, rather than with the breathing or the body movement. After the seventh chakra, you will hear three bells. Now let your breathing turn and slowly fall back through all seven chakras down to the first chakra. Let the energy flow down by itself to include the entire spectrum of chakra energy from top to bottom, like seven colors blending into one rainbow. You have about two minutes to reach back to the first chakra. It is up to you how long you breathe into each chakra. After you finish this sequence, stand silently for a few moments before starting the next sequence. This upward and downward breathing sequence is repeated three times. If you don’t feel the energy of your chakras at first, just breathe into the area where they are located. Remember not to push the breath, rather allow the breath and body movement to be like a bridge carrying you into the sensations and qualities of the energy of each chakra. Becoming sensitive to the different qualities of each chakra comes not through force, but through awareness and patience. After the third breathing sequence, sit relaxed with closed eyes in silence. As you sit, don´t focus on anything in particular. Remain a witness to whatever is happening, without judgment.